Feldco is your one stop shop for the best siding and siding installation in Springfield, IL. 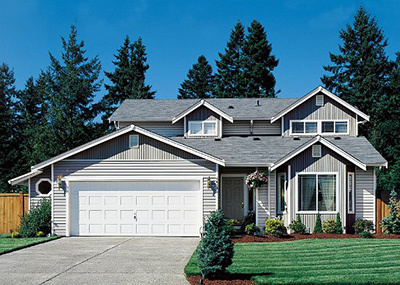 Our vinyl siding is available in many different styles and colors and will transform the look of your home. Not only will your home look great, but it’ll be far more energy efficient with vinyl siding from Feldco. See for yourself why so many homeowners choose Feldco for their vinyl siding projects and get a free quote today. What makes Feldco the best siding contractor in Springfield? Our premium vinyl siding wraps your home like a blanket, keeping it protected from any weather and looking great at the same time. Plus, when you choose Feldco, you know your siding will be installed correctly and efficiently by our factory trained professionals. Over 350,000 homeowners have counted on Feldco for their home improvement projects, so it’s no surprise why Springfield homeowners choose us. From your free quote to beyond the last day of installation, Feldco makes the process of replacing your home’s siding smooth and hassle-free. Our siding is made and designed specifically for Midwest homes. Springfield homeowners face a lot of hectic weather and our vinyl siding will stand true through it all. Our vinyl siding will never rot, crack, warp or swell when exposed to moisture, keeping your home looking great in any weather situation. Another great feature of Feldco’s vinyl siding is the ComfortWrap 365 backing system. This backing system provides superior durability and energy efficiency. It also features a non-toxic additive that deters termites, carpenter ants and other pests as well as prevents mold and mildew growth. The color of your vinyl siding will be baked into the panels during manufacturing, making it virtually maintenance free. Your siding will never fade and you won’t have to worry about painting or staining it ever again. At Feldco, we know that every home is different and people have different tastes. That’s why we offer a wide variety of siding styles to help match any home in Springfield, IL. We also have many color options to choose from, including wood-grain finishes. 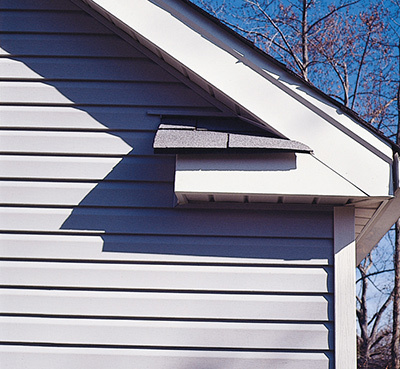 Below, we’ll go over the different styles of vinyl siding and how they’ll transform your home. 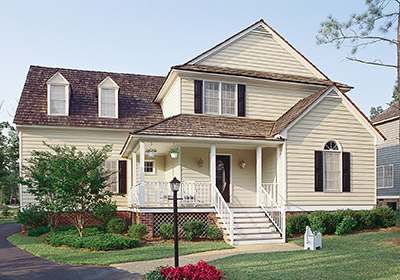 One of the most popular siding styles is double four siding. It provides a clean, simple look and comes in many different colors. Double four siding will look great on any home and will certainly boost curb appeal. Dutch lap is also very common and shares much of the same look as double four. The difference lies in dutch lap’s decorative grooves that provide a sense of dimension and depth for your home. If you’re looking for something more classic, then board and batten siding is perfect. It’s a vertical style siding where the panels alter in width, giving your home a unique and classic look. Homeowners often use board and batten siding as an accent combined with another style. Vertical siding is exactly what it sounds like. It consists of panels laid out vertically and gives your home a traditional look. You can choose to use vertical siding as an accent piece for certain areas of your home or you can side the entire house with it. Vertical siding is very versatile and perfect for any Springfield home. Shake siding from Feldco is made to give the look of real wood siding without the hassle of maintenance that wood requires. 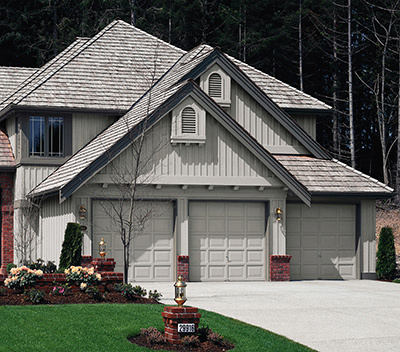 Our vinyl shake siding mimics the look of traditional cedar shingles. Shake siding is perfect for adding a touch of flair on certain areas of your home. 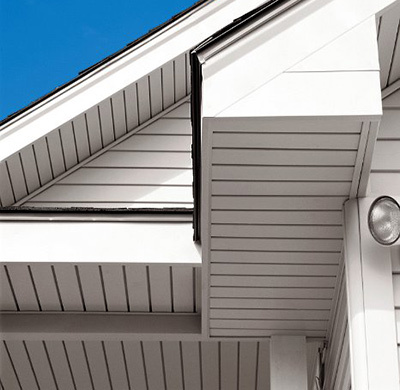 Your home is sure to stand out from the crowd with shake siding from Feldco. 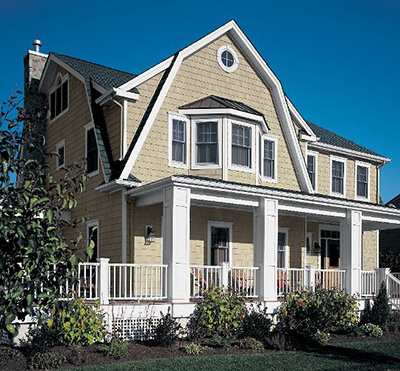 If you’re looking for a truly unique look for your home, then scalloped siding is a perfect option. 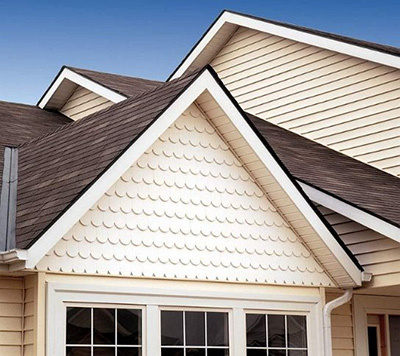 Scalloped siding features a rounded style that creates a look that can be compared to how fish scales appear. It’s used best when paired with other types of siding, creating beautiful accents on the exterior of your home. No siding project is complete without soffit and fascia. These are the areas where your roof line extends beyond your home’s facade. Although these areas may seem minor, they can’t be overlooked when residing your home. The quality of siding will be diminished if installed incorrectly. When you choose Feldco, you won’t have to worry about any installation flaws. Our installers are factory trained and certified with all the experience and skills necessary to get the job done right the first time. Your home will look great and have increased energy efficiency when you choose Feldco for your vinyl siding installation. For over 40 years, Feldco has been providing the Midwest with the best vinyl siding and siding installation. We make it our priority to satisfy the customer throughout the entire siding replacement process. You know you’re in good hands when you choose Feldco. Springfield homeowners can choose from many different siding styles and colors to help improve the look of their home as well as its energy efficiency. Get started with your siding replacement project in Springfield, IL today with a free quote online and join the over 350,000 homeowners who trust Feldco.